This is a new dictionary for the French to finally be able to speak to the people of Africa. 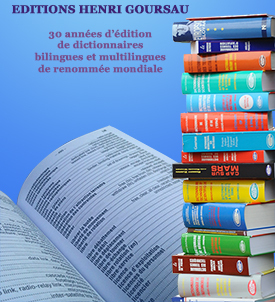 It is an attractive and well-presented book to discover the 40 principal languages of Africa out of some 2,000 languages that have been enumerated, which is to say approximately a third of all the languages in the world. These languages are divides into four linguistic families: Afro-Asian, Nigerian-Congolese, Nilo-Saharian and Khoisian. Africa, the 3rd continent in land area is bigger than The United States, China, India and Western Europe combined. Alone it accounts for 20% of the world's population and will be one of the next global economies. Africa already contains 6 out of 10 countries with the highest rate of growth in the world. Several languages are languages for future generations who will want access to these markets and to establish relationships. Swahili is the african language the most taught in the world and the language which has the largest number of speakers of black Africa. Knowing this language opens up great opportunities. Thanks to this dictionary, tourists, business people, and students in daily life will be able to exchange or express simple phrases, and thus be able to move around more easily in the various countries of Africa. 200 phrases and expressions in alphabetical order allowing to avoid uncomfortable situations or to make one's way around Africa. But also 200 key phrases to communicate, exchange, get attention, start a conversation, be understood, ask questions, obtain information in the local language. A multilingual passport of 40 languages to visit Africa and exchange in case of need or desire with autochtonous populations. And if you are curious about the main languages of Africa and of writing, you will see in this book the script of languages such as Tigrinya, Swahili, Oromo, Yoruba, and my two favorites Wolof and Hausa. A practical book which aims to be a glimpse into the principal languages as well as a precious instrument of communication anywhere in Africa. A modern dictionary for a direct relationship with the main languages of the African continent.